Though a visual stylist who once referred to actors as cattle, Alfred Hitchcock also had a remarkable talent for innovative and creative casting choices. The director launched the careers of several actors and completely changed the trajectory of others, many of whom created some of the most iconic screen performances in history. However, Hitchcock's ability to fit his leading men and women into just the right parts has been a largely overlooked aspect of his filmmaking skills. In Hitchcock's Stars: Alfred Hitchcock and the Hollywood Studio System, Lesley L. Coffin looks at how the director made the most of the actors who were at his disposal for several decades. From his first American production in 1940 to his final feature in 1976, Hitchcock's films were examples of creative casting which strayed far from the norm during the structured Hollywood star system. 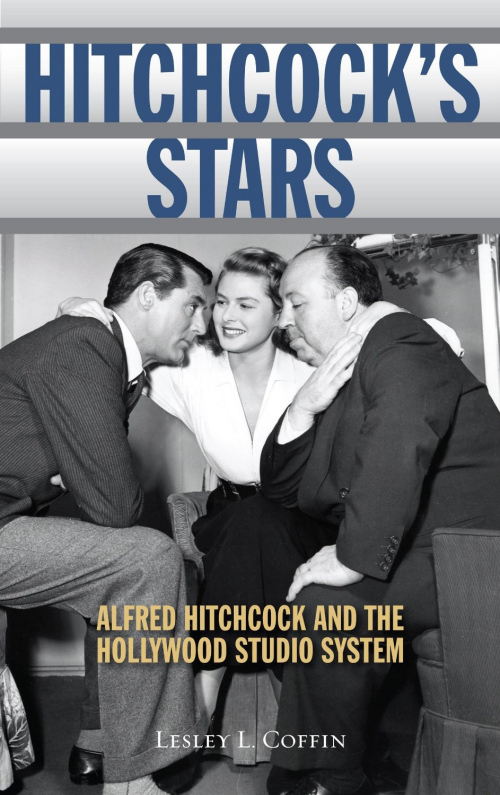 Rather than examine the cinematic aspects of his work, this book explores the collaboration the director engaged in with some of the most popular stars in Hollywood history and gauges the impact the performers had on these films. Coffin explains how the master of on-screen manipulation exploited the nervous insecurity of Joan Fontaine for the lead in Rebecca, subverted the wholesome persona of Robert Walker to play a deranged killer in Strangers on a Train, and plucked an unknown actress to star in The Birds. Documenting Hitchcock's Hollywood output from his arrival in America through his final effort, Family Plot, the author chronicles each film's casting process, performances, and the personas each star brought to his or her role. Inspiring a fresh look at several films, this book will engage fans and encourage them to consider a number of Hitchcock classics in a new light.